Lemon Scones: Delicate scones made with Greek yogurt and flavored with fresh lemon and adorned with a lemon glaze. 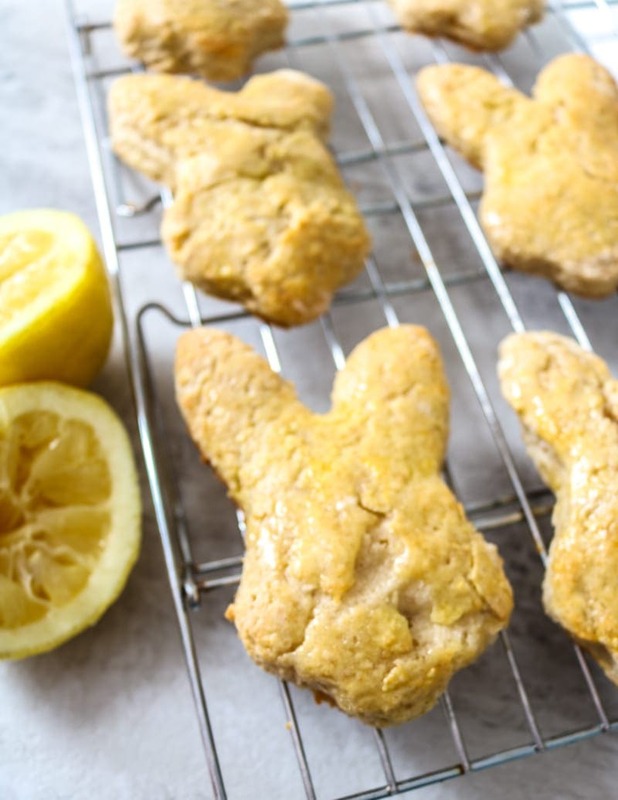 Baked in sweet bunny shapes, these Lemon Bunny scones are the perfect way to welcome in Spring or celebrate Easter. On Easter morning, as the kids are busy finding the eggs that the magical bunny hid for them, I can think of nothing better than stretching out with a homemade latte and a delicate scone while I soak in every minute of their joy and delights as they find their little treasures. As they finish filling their baskets, their smiles will remain big as they join me at the Easter brunch table where we dine on Hashbrown Casserole, Citrus Thyme Salad and sweet little bunny scones kissed with a lemon glaze await them. Homemade lemon scones are a perfect addition to any spring brunch. 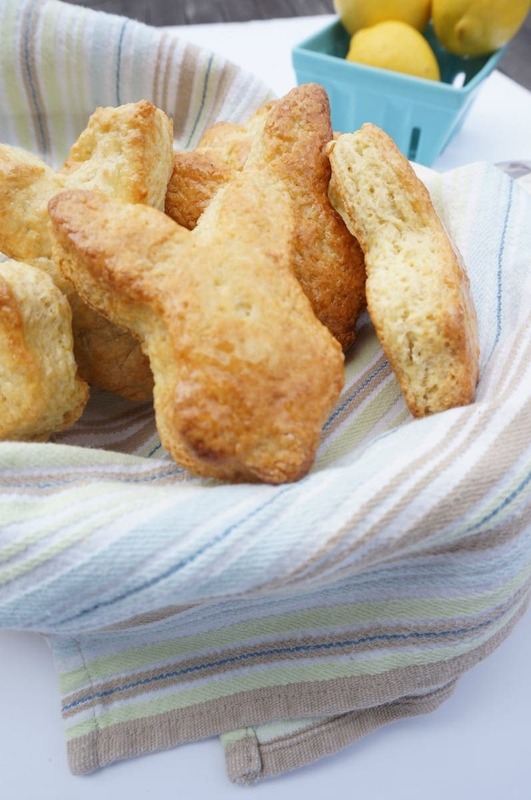 And these tender Greek yogurt scones become a perfect Easter treat with a simple bunny cookie cutter. 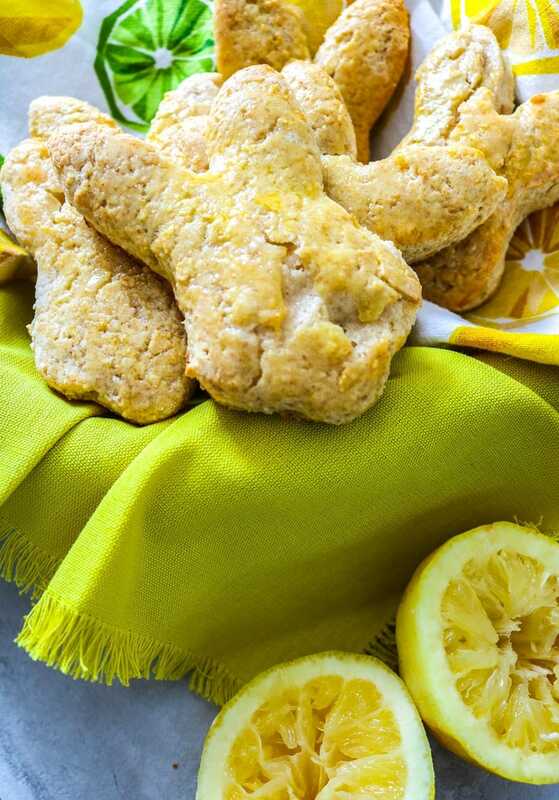 But you do not have to make these scones shaped as bunnies to enjoy them–simply cut them into the traditional triangle shapes, they will still taste amazing. Let’s take a minute to talk about how amazing these lemon scones are. First of all, my scone recipe is EASY to make with the help of a food processor. Secondly, they have been made lighter than traditional scones with the addition of Greek yogurt to replace some of the butter. Third, they feature a bright lemon flavor. 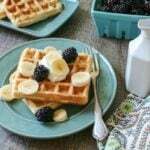 Lemon screams of spring and the freshness that the lemon adds to the scone is refreshing to a heavy brunch that features candied bacon or breakfast pizza. Or the perfect compliment to lighter fare, such as a Asparagus Frittata or lemon quinoa salad. 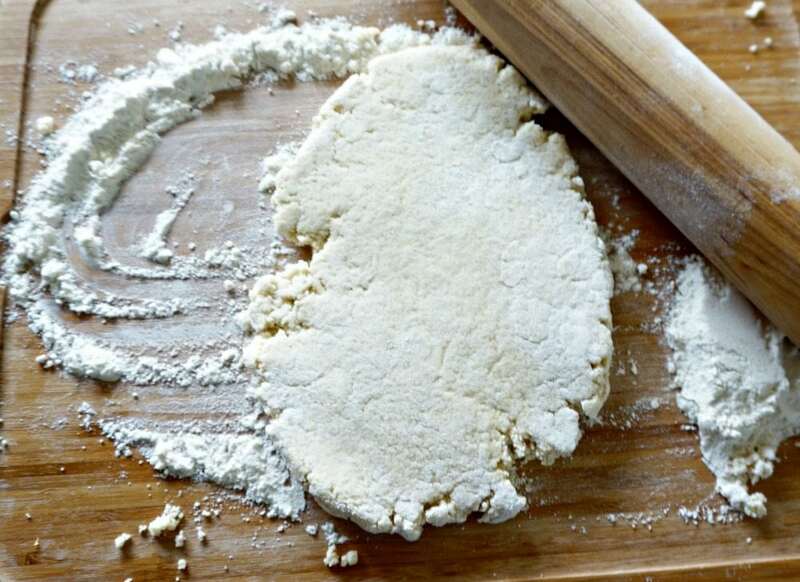 A key to the perfect texture in a scone, is using cold butter, yogurt and liquid and quickly cutting those ingredients into the flour mixture. Cutting just means to the gently mix the ingredients together so that the butter and yogurt are left in chunks throughout the dough. These chunks will cause air pockets in the dough which help to give the scones their delicate texture. You can use a pastry cutter, but I prefer to use my food processor. I just place the ingredients into my food processor and pulse, pulse, pulse. The dough was done and the butter and yogurt are evenly distributed throughout the scone batter. After you use your dough is just combined, dump out onto a flour surface and knead the dough together so that it just sticks together. It is crucial to not over knead the dough, or you will be left with tough scones. Roll out to 1/2 inch thickness. Now here, is where I got out the cookie cutter, but you could simply cut this into 6-8 triangles, using a butter knife. Place the scones on a baking sheet and then brush with an egg wash. The egg wash will help the scones get a beautiful golden color. While the scones bake, make a simple glaze of fresh lemon juice and powdered sugar. Then after the scones cool, dip each one into the lemon glaze and allowed to sit for the glaze to harden, as I licked the glaze joyfully from my fingers. That is it. So easy, so refreshing, so fun! Make up these little bunny scones and add a special memory to your Easter holiday. The most important step of making tender scones, is to be sure your butter and yogurt are super cold. I like to cut up my butter into cubes and then place in the freezer for 5 minutes while I assemble the other ingredients. You also want to work as quickly as possible to combine the dough. 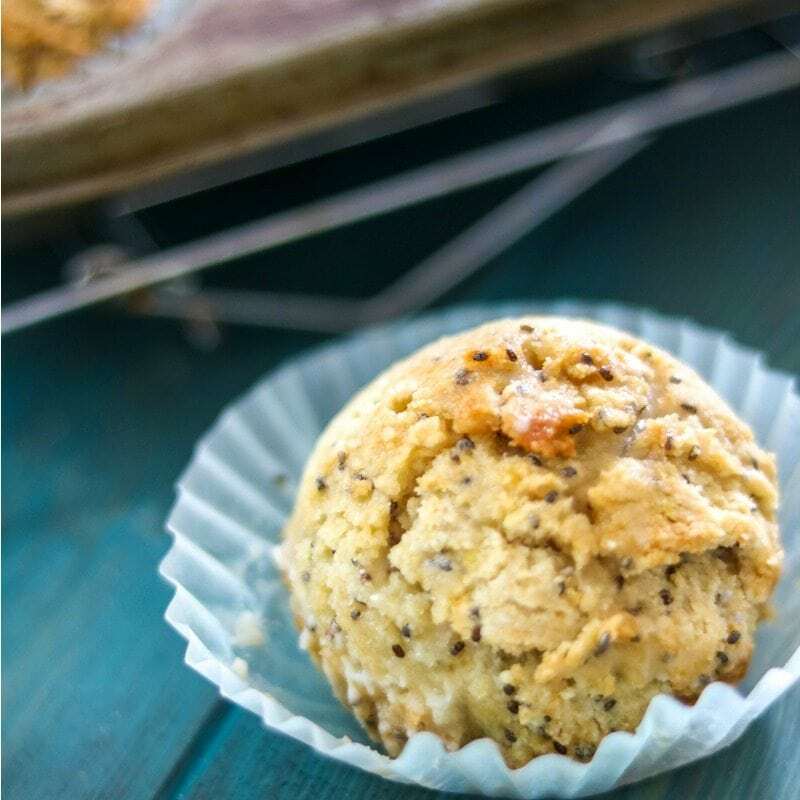 It should only take a few pulses in your food processor for the scone batter to come together and you only need to knead the dough once or twice–you are not looking for smooth dough, just dough that has evenly come together. If you feel that your dough has gotten warm while working with it–pop the dough back in the fridge for 15-30 minutes before cutting and baking. You can store these lemon scones at room temperature for 24 hours and in the fridge up to 4 days. Scones are lightened up with the addition of Greek yogurt and then kissed with bright lemon flavor. In food processor, combine flour, white sugar, baking powder, salt and the zest of the lemon. Pulse once or twice until combined. Add in the butter, yogurt, vanilla, and egg white. Pulse until dough is just combined and looks like sand. Dump the dough out unto floured surfaced and press together into a large circular disk. Roll out to 1/2 inch thick. Either cut with a floured cookie cutter or a knife into triangles. Mix egg yolk with 1 tablespoons water and brush over each scone. Bake for 12-15 minutes, or until browned. While the scones are baking, prepare glaze by mixing together the juice of a lemon and the powdered sugar. Once scones are cool to the touch, dip each scone into the glaze and let sit until glaze sets. BUNNY SCONES?! I’m dying so cute. And made with Greek yogurt. YES. Thanks Lee!! They sure made my family smile! I agree with the above – these ARE SO CUTE! I’m so making these for my daughter! Aw, thanks Madaline. I know your daughter will love them! Oh my gosh, these are obviously super cute but I bet they’re also delicious! Lemon is such a refreshing flavor! Thanks Liz! The lemon brightens them up so much! Ekk!!! These are SO cute!! 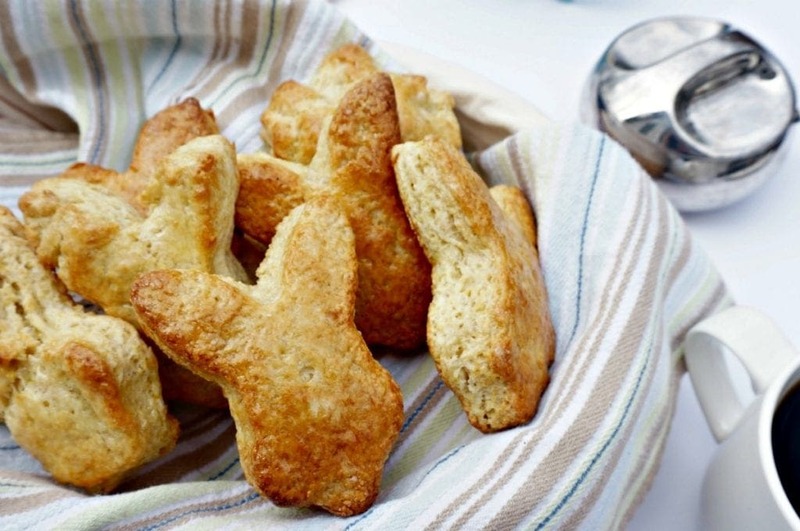 What a fun idea to make bunny shaped scones! So cute and they look delicious, too! These are just the cutest! Absolutely darling for Easter brunch and I love the lemon addition! Thank you Michelle, I really appreciate that! Easter brunch sounds like a great idea to me! Your sconces look so cute in the bunny shape and I like the addition of the Greek yogurt in the recipe. Thanks Shirley! Easter brunch is the best! Too cute and so creative! I am a sucker for anything with citrus, lemon in particular. And I have taken to using Greek yogurt in just about everything lately, so this is perfect timing! I love the bunny shapes, too. Love that these could be “themed” for just about any cookie cutter you can get your hands on, too! These just may be making a appearance very soon in my kitchen! Thanks! I hope they do make an appearance soon! You will love them! I just scones, but have never thought to make them in bunny shapes! These are so adorable and look really tasty! Lemon happens to be one of my favorite flavors and just screams spring! Love this!! These are seriously the cutest!! 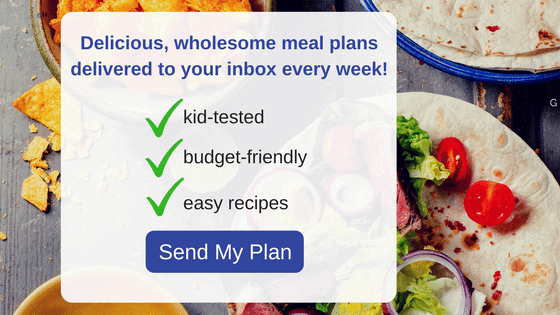 Love the greek yogurt addition as well – can’t go wrong there!! These are adorable for Easter and look tasty too! Thanks Anita! I hope they make an appearance at your Easter celebration! Adorable! I love a good scone and all things lemony. These sound delicious. I do adore that you cut them into bunny shapes, but I think they’d be perfect for Easter no matter the shape. I always gravitate towards lemon and coconut for my easter treats. Yum! Bunnies are cute, but I bet they are just as good cut in triangles for the rest of year. These are the cutest! I love the recipe and the shape – perfect for Easter!! Well, I am sure your scones are amazing (as everything I have tried of yours is) but the food processor makes it incredibly easy! What a sweet Easter breakfast idea – I love them and I’ve been craving all things lemony and citrus so I can’t wait to give these a try! Once Spring comes, I crave lemon as well! Enjoy! Such a fun idea for Easter morning! Definitely pinning! Aw, thanks Holley! I appreciate you pinning! Lemon is one of my favorite flavors ever…these look delicious! If you like Lemon, you will love these Tiffany! These are just too cute for Easter! I have to hide these kinds of posts from my kids or I will be exposed as the lazy mom I am lol but these look delicious! And adorable! These are so adorable! I think I will whip up a batch for my kids this weekend! Thanks Karly! I hope you all love them! I realize I’m in the minority, but I’m not a fan of lemon. Do you have any suggestions of what I could replace it with? Thanks! 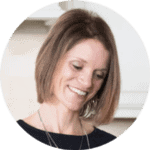 Kristi, any berry would be perfect to add–blueberries, diced strawberries, blackberries or even raisins or diced apples. Of course, you could just add chocolate chips to the batter as well! For the glaze on top: make just a milk and powdered sugar glaze to adorn the top or just sprinkle with sugar before baking. Thank you! Would you imagine I’d need to add any other type of liquid since I wouldn’t have the lemon juice in there? These are very cute! I love them! I’m sure my daughter will love these too! Thanks for linking up to the Bloggers Brags Pinterest Party. I have pinned your post to the Bloggers Brags Pinterest Board. Yes, the kids do LOVE these! Well, this is one fun scone recipe to give baking scones a go with! Thanks Liz, my kids LOVE them! Such a fun idea! Perfect for Easter morning!!! These are seriously adorable and sound delicious! Thanks Karen–we love them here! So cute! Great treats for Easter! These look so cute! Pinning to try them!